Humanitarian aid has often been associated with emergency situations and forced displacement. 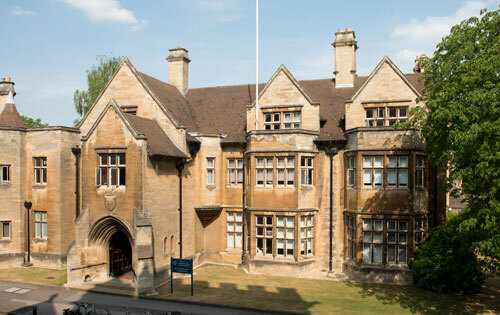 It is also associated with international organisations arriving in different countries to provide immediate aid directly or through partnerships with local organisations. Humanitarian aid has rarely been seen in contexts of irregular migration, especially when migrants wish to continue to another destination, rather than settling in the country where they receive the aid. As conflicts and emergencies have become more complex and boundaries less defined, humanitarian organisations have had to redefine themselves and the work they do. They have expanded the scope of their work to include what was once a distinctive characteristic of social action and participate in addressing the structural elements underlying the conflict or emergency situation. Complex emergencies not only attract international relief agencies, they also allow for the emergence of local NGOs to deliver emergency assistance, to advocate for human rights, and to foster development to allow sustainable growth. Occasionally humanitarian support is provided in circumstances that do not necessarily fit a rigid definition of an emergency. Thus, when humanitarian work emerges from the ground, clear-cut adherence to the classical humanitarian principles of humanity, neutrality, and impartiality becomes more difficult. The way humanitarian aid given to migrants in Mexico has emerged illustrates the process and challenges of providing humanitarian aid from the ground, as well as classical understandings of humanitarianism. Humanitarian groups providing aid to migrants in Mexico often emerge from local communities. The genesis of these groups and their efforts are key elements in analysing humanitarian aid in Mexico and especially the role of humanitarian aid in migration processes. These organisations providing aid in Mexico, commonly called ‘shelters’, come in all sizes and compositions and many of them are faith-based. They provide aid to migrants who often find themselves in distress while embarking on perilous journeys or returning to Mexico without social support. The aid often consists of food, shelter, medical care, legal assistance, and educational instruction on human rights, health – especially AIDS prevention – and information about the risks and dangers on the route. 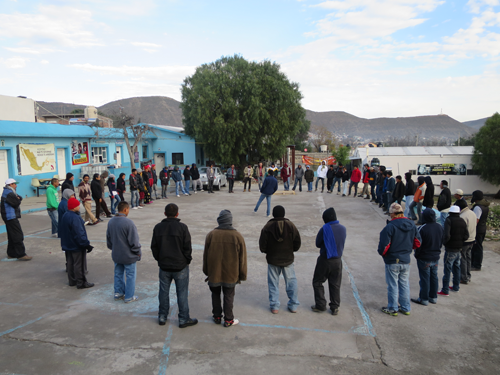 At a shelter in the city of Saltillo in Northern Mexico, migrants share morning activity and reflection everyday. These shelters emerge in local communities as a response to the presence of migrants along migrant paths. Often, they rely on donations and volunteers from the local community to provide their services. The work of these places emerges from a desire for ‘solidarity’ with the people. As Norma said: ‘We could not do otherwise. The migrants' presence and their distress becomes a demand and a call for action’. Some shelters started operating in the 1990s and, as time has passed, some have gone through a process of professionalisation. As needs have grown, so have the services provided by shelters. An important trait of these places has been their ability to shape and reshape their services according to the different characteristics of the population they serve. Some shelters, especially those which developed more successfully, have opened projects to receive unaccompanied minors, to receive LGBTIQ migrants, or to serve a growing number of people seeking refugee status. The shelters in Northern Mexico have also adjusted to the needs of Mexican migrants returning to Mexico after deportation. At the same time, while some shelters have become politically involved, advocating for migrants, others have struggled to continue providing services and much-needed safety for migrants. Since shelters emerge from a bottom-up process, it is difficult to label them purely using humanitarian principles. Certainly, these places are humanitarian and act in solidarity with migrants, but few of them remain neutral and impartial. All of them respond to their context and the type of leadership that exists in each place. By looking at their work, one could conclude that they are definitely humanitarian spaces, but not at all in the classical sense. Some of these shelters become places of confrontation and advocacy, while others become places where alliances with other actors are key. 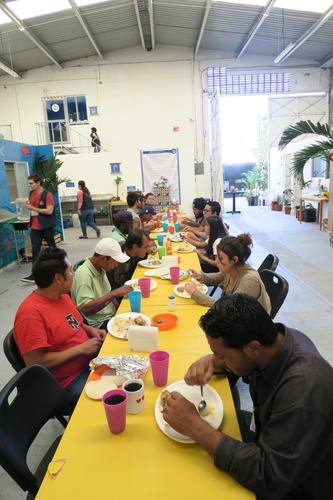 For example, ‘La 72’, a shelter in Southern Mexico, aims to be a place not of charity but of solidarity. The team at ‘La 72’ believes that solidarity is horizontal and requires mutual respect. ‘By being in solidarity with them, we dignify the lives of migrants. We believe that there should be a “Transit with Dignity and not violence” through Mexico’, said Fray Tomás, a Franciscan friar, the shelter director. ‘FM4: Paso Libre’, another important shelter in the city of Guadalajara in Western Mexico, guides its work by seeking solidarity with migrants, recognising and respecting their dignity, as well as seeking justice and advocating for their human rights. FM4 believes that transit should be free; ‘Free of violence and discrimination’, said the shelter director. Other examples, like ‘Las Patronas’, have decided to remain small because they do not want to lose the spirit that ignited their service. However, humanitarian work like the one provided by ‘Las Patronas’ has gained international recognition through several documentaries and because they won the Mexican National Human Rights Award in 2013 for their work with migrants. The experiences of these shelters in Mexico are a clear example of humanitarianism that emerges from the ground. To understand this kind of humanitarianism, it is necessary to consider the social processes from which it emerges. This humanitarianism from the ground, in spite of its limitations, challenges the principles of neutrality and impartiality and often shows a spirit of solidarity. Often, humanitarian work at the ground level demands actors to take sides, the side of the most vulnerable. ‘As the freight train was passing, they kept shouting at us from the top of the wagons – “Give us the bread! Give us the bread! We are hungry!” The clamour was such that we could not do otherwise. We threw them the bread we were carrying’, said Norma Romero, leader of a group of women called &#039;Las Patronas&#039; which provides humanitarian aid to irregular migrants crossing Mexico on their way to the United States. They are one of more than 80 humanitarian groups, in Mexico, providing aid to irregular migrants, deportees from the US, and more recently to a growing number of people seeking refugee status.